For my example, I stamped the HLS butterfly (I love this one) in Versamark and added WOW Bonding powder. I melted this by heating from underneath and when tacky added Gilding Flakes, pressing them down firmly and then burnishing with a smoochy pad. I don't really know what the pad is called but it's a bit like a nylon pan scrub. The sentiment is from a die from Penny Black. PLEASE MAKE SURE YOUR CARDS ARE CAS. the process of applying gold leaf or gold paint. the material used in, or the surface produced by applying gold leaf or gold paint. 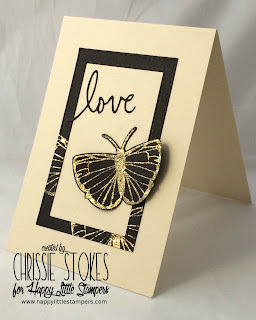 This card was made using the remainder of the gilded card, with the addition of the die-cut sentiment. 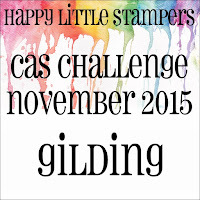 There are so many different ways of achieving a gilded effect so do check out the other DT members for lots of ideas and inspiration and join in the fun! You have rocked this technique, Chrissie! 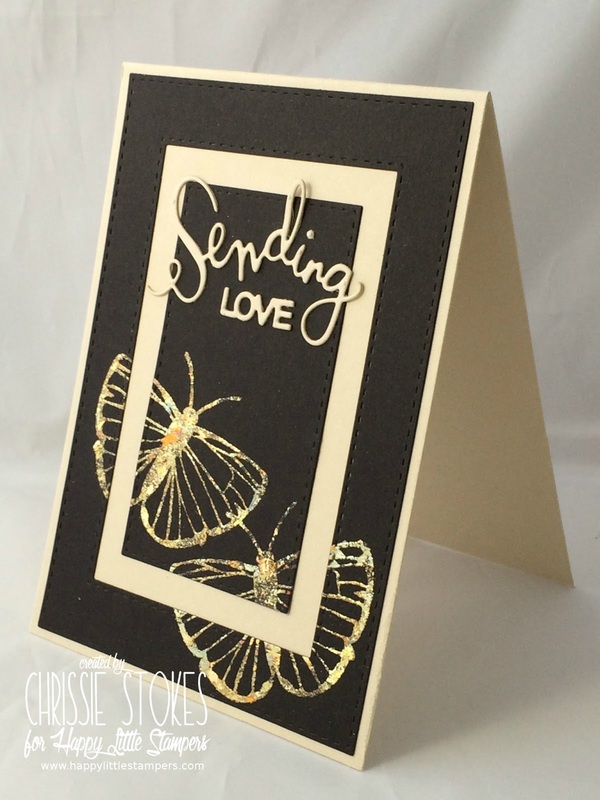 Those gold butterflies look gorgeous against the black card! 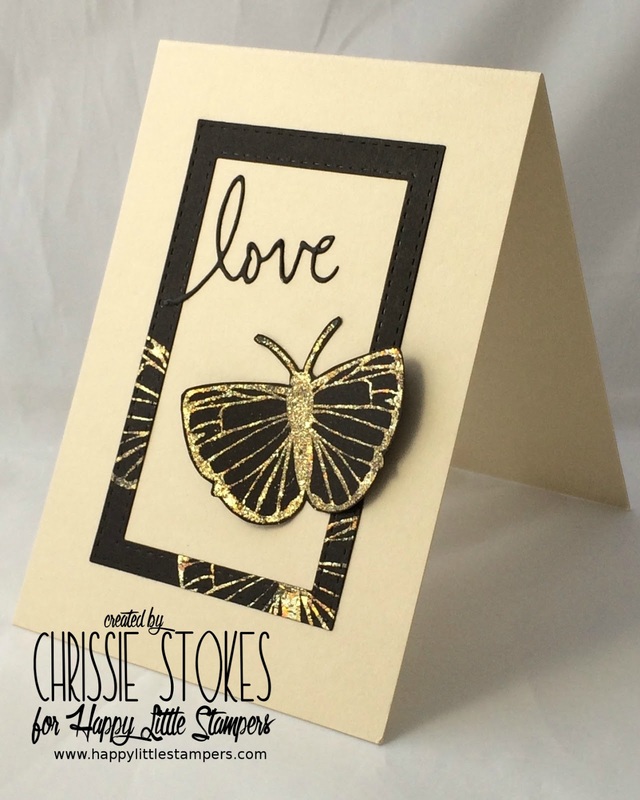 Your butterflies are so beautiful in gold, Chrissie!!! Lovely cards!!! Oh, beautiful cards, Chrissie! 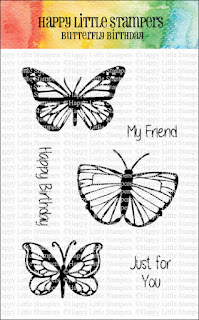 Love your cream with black and butterflies are amazing! Gorgeous card, Chrissie. The gold and black look so elegant and sophisticated. This is one beautiful card. Love that gold butterfly, and also the way you framed your image.